Heather Sky and Kimberly Achelis-Hoggan will be leading an all inclusive “Living Illuminated” Yoga Jungle Retreat in Yelapa, Mexico! If you haven't heard of this tiny beach haven in Puerto Vallarta’s Bahia de Banderas, that's because it has gone decades without the infiltration of obstructive high-rises or a mass influx of tourists. 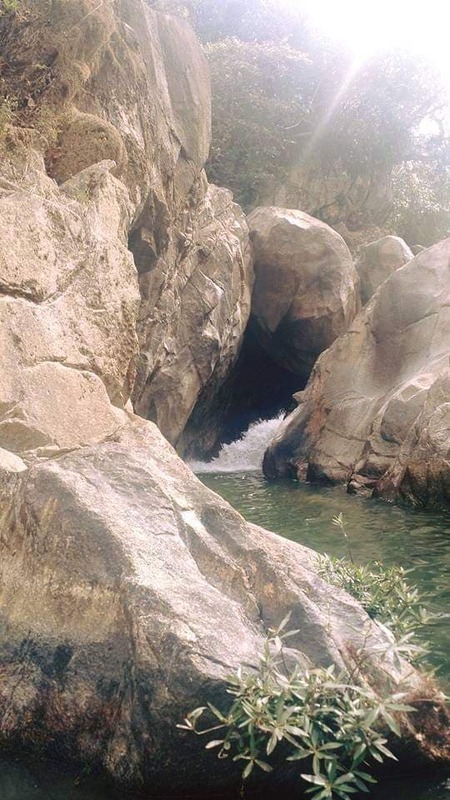 Some say Yelapa is Mexico’s last authentic beach town—but not only is it the country's top undiscovered stretch of sand, the retreat center is located a short walk into a jungle oasis! I can tell you from experience, this is a retreat you do NOT want to miss. 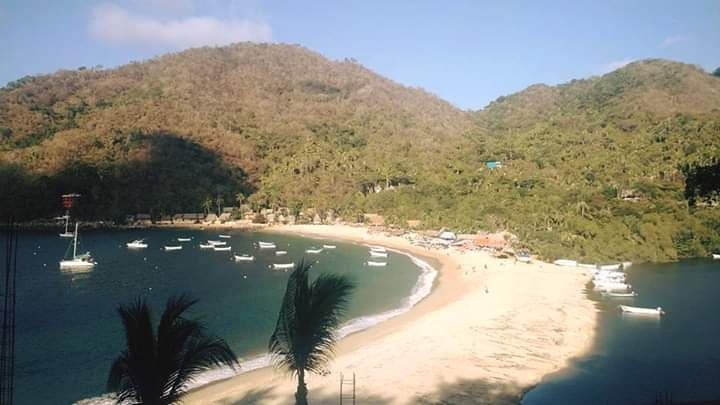 Upon arrival in Puerto Vallarta, participants will take a water taxi to the secluded beaches of Yelapa where we will be met by our host and guided to the retreat center. The gardens are bursting with tropical flowers and fruits, fish ponds, and a waterfall cascading into a natural swimming pool. All accommodations are unique and comfortable palapa casitas, with thatched roofs that harmonize with nature and open walls to let in the cool jungle breezes. Beds are suspended from the ceiling and have mosquito nettings. Fresh safe drinking water is provided at bedside. Bath facilities have rosewood countertops, ornate tile sinks, and hot water. Coffee and tea is provided every morning. Breakfast/brunch and dinner will be prepared using ingredients from the retreat centers own garden, as well as other fresh and locally sourced ingredients. A light fare will be available at the property during the lunch hour, or you can provide your own lunch from one of the local markets or restaurants. 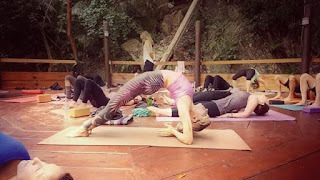 The days will begin and end with an optional collective yoga practice, interspersed with a wide variety of optional activities such as: a guided hike, a seva (service) project in the community gardens, and whale watching tour. $1199 single occupancy rate (meaning you come alone)- A non-refundable deposit of $500 is due at the time of registration. Must be paid in full no later than September 30th, 2019. $1099 double occupancy rate (meaning you bring a friend)- A non-refundable deposit of $500 is due at the time of registration. Must be paid in full no later than September 30th, 2019. $999 - Discount for certified yoga teachers or registered yoga teacher trainees. See payment notes above. 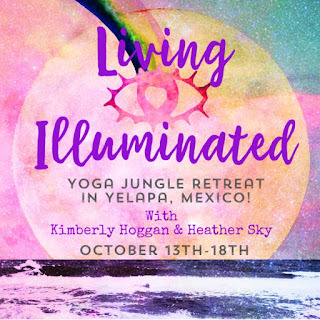 Please pay Heather or Kim directly with cash/check OR send payment through Venmo (@rebelutionyoga) or Paypal (rebelution.yoga@gmail.com). We will happily accept your payment in increments, as long as it is paid in full by the required date. No refunds. Approximately 20 spaces are available. All rooms have either 2 single beds or 1 king bed. If you book with a partner or friend, you will share the same room (please make sure we are aware ahead of time). Accommodations for 6 days/5 nights at Los Naranjos Jungle Retreat Center. Healthy daily meals made with local fresh tropical fruits and vegetables, local fish, and farm grown meats. Tea, coffee, and fresh water available all day. Taxi fare to/from Puerto Vallarta's International Airport to the Los Muertos pier downtown. Water taxi fare to/from the Los Muertos pier downtown to the Yelapa town pier (Approximately $10.00 USD p/person one way). Optional excursions: Water sports, whale watching, paragliding, etc. Occasional meals and/or drinks off site (in the village). 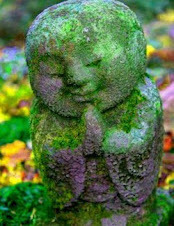 Gratuities for retreat center staff at the end of your stay. We will kick off the retreat with a welcome ceremony and traditional Yelapa beach bonfire under the full moon on the eve of our arrival. What better way to start living illuminated?! All participants must have a valid passport containing at least 2 blank pages, valid at least 6 months after your departure date. No Visa is required for American tourists who plan to stay less than 30 days. Travel insurance is optional, but encouraged. Please feel free to reach out to Heather or Kim with any questions, comments, and/or concerns. You will receive additional details upon registering.